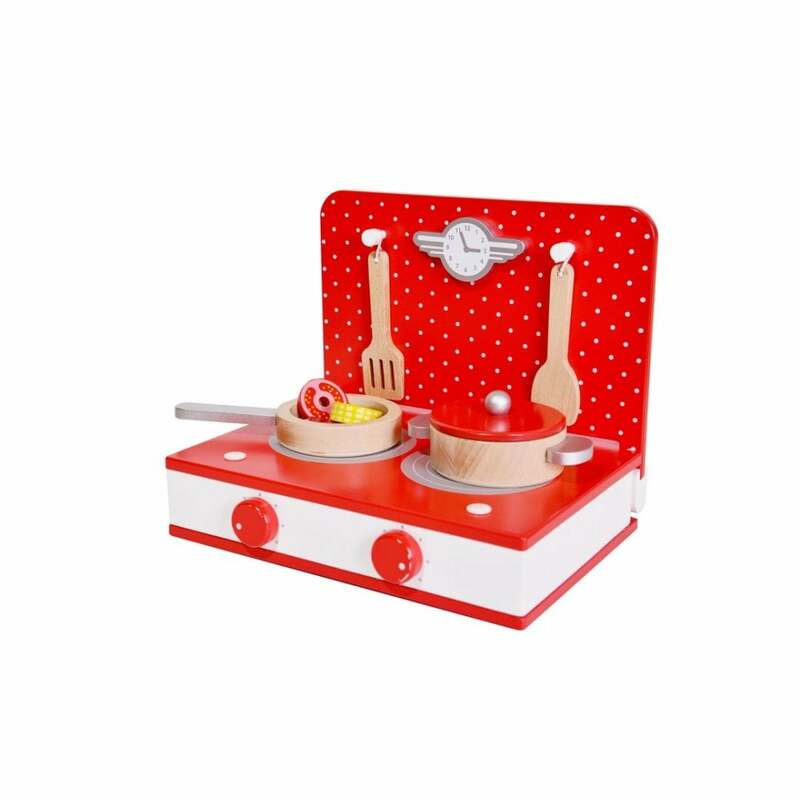 The Classic World Retro Tabletop Kitchen set is complete with wooden cooking utensils and play food will give kids the chance to indulge their imaginations. Why should I buy the Classic World Retro Tabletop Kitchen? Children love pretending to cook as well as cooking with Mum an Dad. What could be more fun than watching children play on their own wooden toy kitchens? The Classic World Retro Tabletop Kitchen set is complete with wooden cooking utensils and play food will give kids the chance to indulge their imaginations (and taste buds!) as they set about creating a delightful menu for family and friends. These wonderful toys are ideal for playing alone or with friends and will help with coordination as well as providing hours of fun.